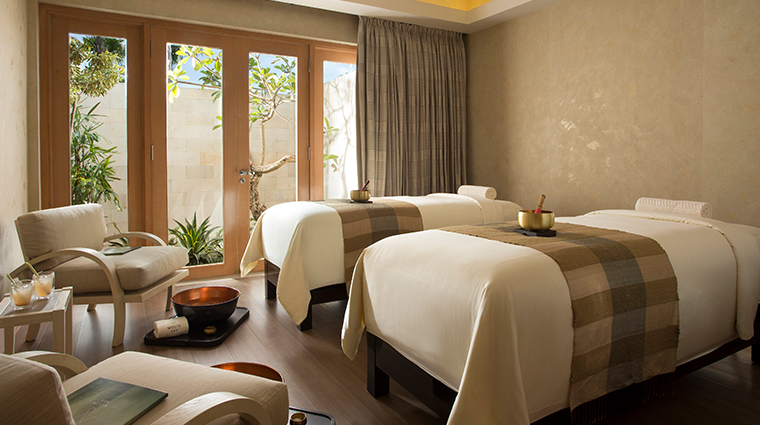 When you enter Mulia Spa at The Mulia - Nusa Dua, Bali, you’ll feel as if you’ve been transported into an ancient palace. With high ceilings and cool marble floors, this 20-treatment-room haven offers a royal respite. Mulia Spa delivers a range of treatments focusing first on detoxifying the body and then on therapy. After a consultation, you are provided with a tailor-made program based on Ayurvedic principles. Aromatherapy oils, for example, are chosen to match your fundamental character, personality traits and body type. The spa’s seemingly unending corridors lead to a variety of relaxation spaces. 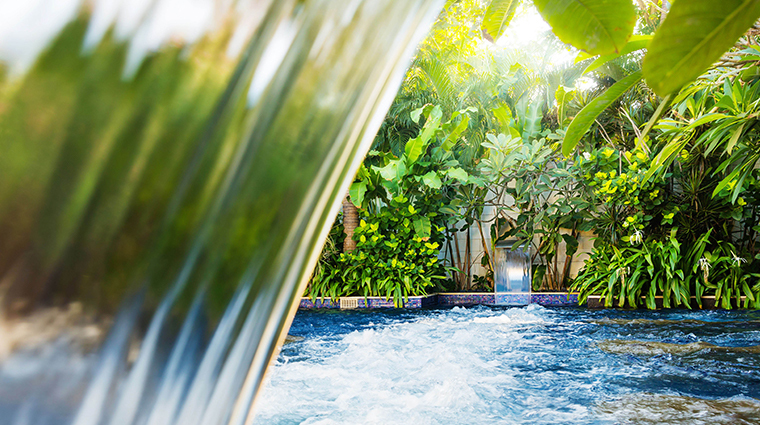 Outdoors, you’ll find two Cleopatra-style hydrotonic pools where deep-blue oxygenated waters bubble around as you recline in an underwater lounge chair with pressurized jets. One of many special features of this facility is the ice room. 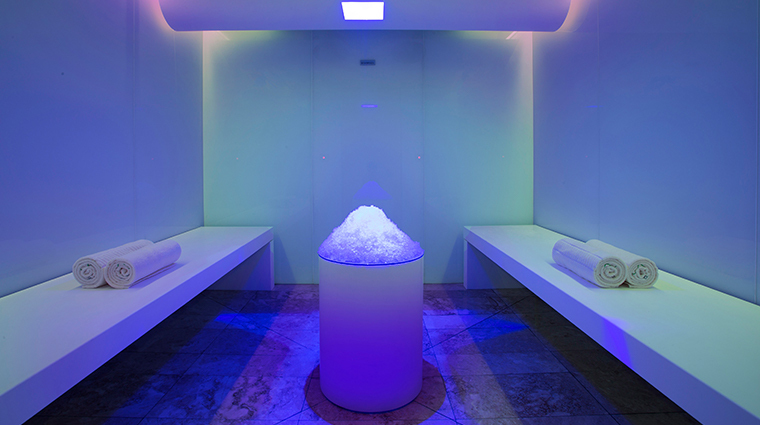 As pure ice crystals flow from the ceiling stimulating your metabolism, the room’s colors and music can be adjusted to suit your mood for a customized relaxation experience. The Bali spa’s hot- and cold-water pools are excellent for metabolism enhancement and detoxification. Set in beautiful surroundings and rimmed by frangipani trees and lemongrass, the pools also provide a spot for you to revive and recover from jetlag. It is also home to the Asia-Pacific region’s only 30-degrees Fahrenheit ice room, created by Italian spa specialist Starpool. As the ice falls from the crystal fountain, you can rub the crystals on your skin to stimulate circulation. Go to the sauna for color therapy, aromatherapy and music options at the touch of a button. Surround yourself with a green forest or a breezy blue vibe. Take some time to unwind in the spacious lounge areas. If you do, check out the light spa menu for a selection of fresh fruits, tonics and specialty teas. The enormous pool is the perfect place to relax. Take in the lush tropical overhangs while catching the ocean breezes that drift through the complex. 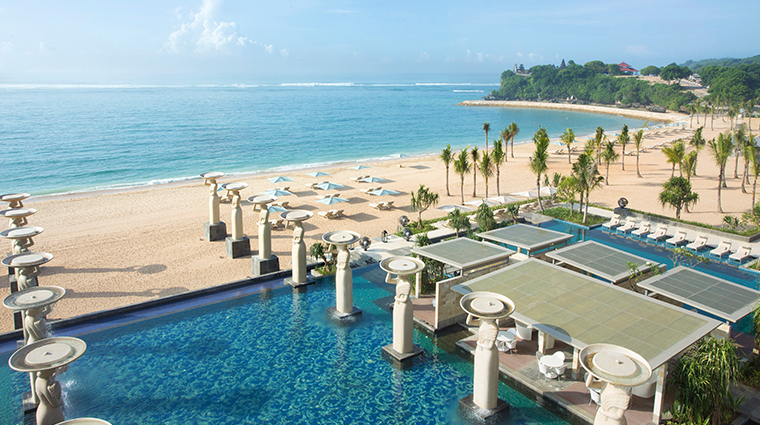 The expansive lobby of The Mulia — Nusa Dua is positioned back from the water’s edge and commands a spectacular view over the Indian Ocean. Enjoy the ride through the tropical gardens as you are taken by buggy to the spa complex. Bring your spa experience home with you by purchasing Mulia Spa’s all-natural beauty products after your treatment. The luxury spa’s yukata(light robe), eye pillow and coconut oil make a great souvenir. Treatments employ Balinese, Asian and Mediterranean techniques. Try the 90-minute cup massage with warm coconut shells focusing on your energy points. 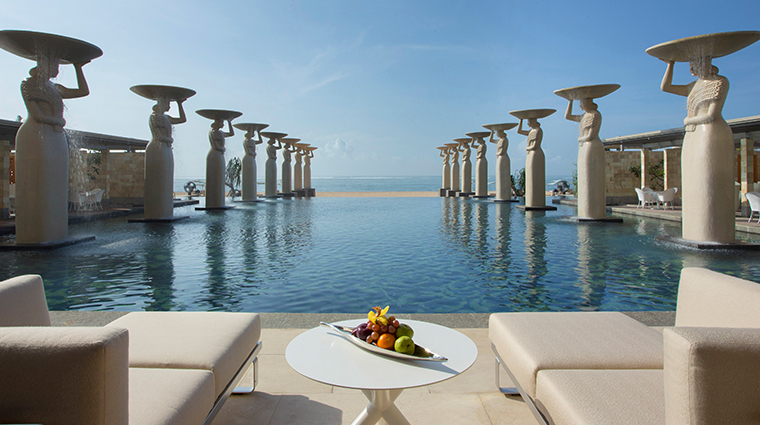 The Mulia for Men menu includes a back massage, a purifying facial and a pedicure. The back treatment will give you a cleansing exfoliation before a deep-tissue rubdown. The Chi Nei Tsang is a 60-minute internal organ massage focusing on the abdominal region. This unique offering is designed to improve digestion and encourage lymphatic drainage to help regulate your sleep pattern and relieve chronic fatigue. 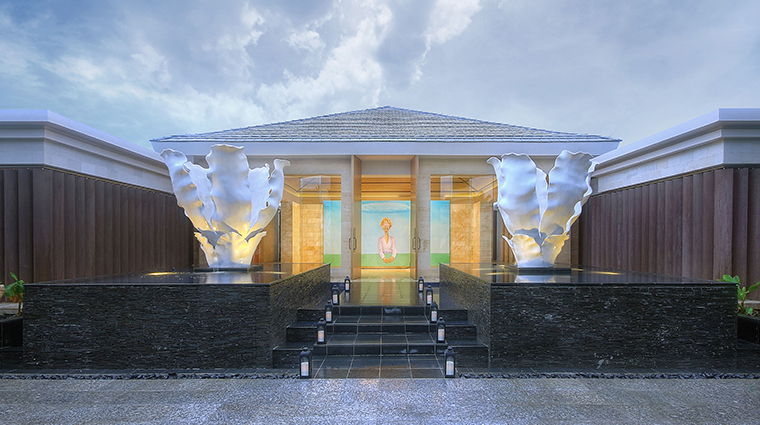 If you want to be energized, try the 150-minute Mulia Mermaid Purity and Detox treatment. Combining a Himalayan salt scrub and a marine mud wrap, it increases blood circulation and releases tension. The Wellness Mulia Signature treatments range from 150 to 180 minutes and include the combination of hot and cold pool immersion. This therapy increases blood circulation and releases tension. For the ultimate indulgence, book your treatment in the Bali spa’s state-of-the-art wellness suite, which features two high-tech heated hammam tables that project the seven chakra colors throughout your experience. Be sure to try Mulia Spa’s aromatherapy steam room and experience showers. The lightly scented steam is designed to create emotional balance, while controlled humidity and gentle heat encourage a state of total relaxation. Find your Zen in the outdoor meditation and yoga area, secluded by lush tropical foliage. A large fitness center is also situated nearby for a well-rounded wellness experience.